Banglore : The Karnataka government celebrated Tipu Jayanti with substantial fanfare on the 10th of November 2018 with the BJP protesting and Karnataka Chief Minister HD Kumaraswamy giving the celebrations miss. At the helm of the celebrations was the Congress party. Reportedly, Congress leaders were not too happy with HD Kumaraswamy giving the celebrations a miss and construed it as an insult. By giving the celebrations a miss, many wondered if the CM was attempting to take a more neutral stance on the issue since Tipu Sultan is widely criticised for atrocities he heaped on Hindus. 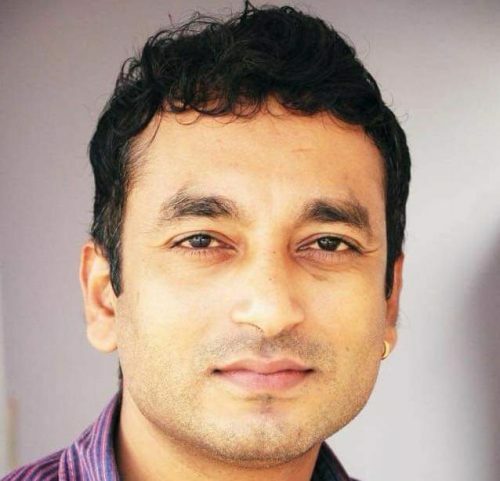 However, Santhosh Thammayya, a journalist with paper Hosa Digantha (Kannada Daily) was arrested on 13th November 2018 around midnight for making an anti-Tipu speech. Karnataka police arrested Santosh after his speech which criticised Tipu Sultan, our sources have confirmed. Santosh flew to Coorg and delivered a speech in Gonikoppa on Tipu Sultan. Other than Santosh Thimmayya, 4 others were also present. Santosh criticised Tipu extensively for his extremist views and actions. He also spoke about how there are some people who still suffer because of his atrocities. He spoke about the Mandyam Iyengar Brahmins. Santosh also drew heavily from Sandeep Balakrishna’s book on Tipu Sultan. Some Muslim members from the area did hold a press conference condemning Santosh for his speech. They also asserted that they will be holding a protest. Karnataka police filed an FIR against the journalist after this. The police called the journalist on 11th November to collect a copy of the FIR. Santosh said that he would be able to pick the FIR copy up soon since he was not in town. Karnataka police then proceeded to make the arrest on 13th November midnight. Karnataka Police lodged an FIR in GoNikoppa police station. GoNikoppa is in Vijarajpet taluk in Coorg district. It seems like the Congress-JDS government is trying to please all sides in the Tipu Jayanti incident with the CM giving the celebrations a miss, Congress taking offence, and now, a journalist being arrested for his anti-Tipu speech.